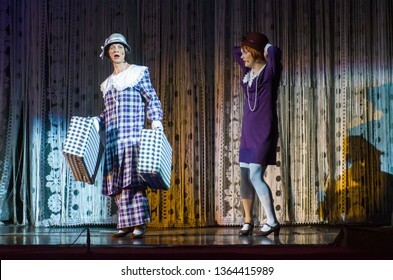 30 764 стоковых фотографий, векторной графики и иллюстраций по запросу « » доступно без лицензионных платежей (роялти). 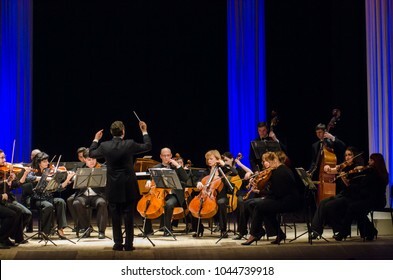 DNIPRO, UKRAINE - MARCH 12, 2018: FOUR SEASONS Chamber Orchestra - main conductor Dmitry Logvin perform at the State Drama Theatre. 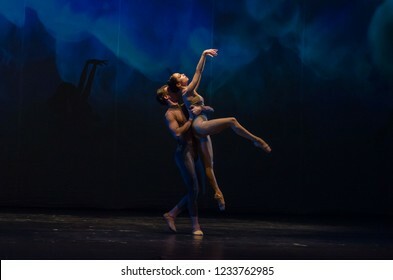 DNIPRO, UKRAINE - SEPTEMBER 7, 2018: Modern ballet performed by members of the Mykolayiv Academic Drama Theater. 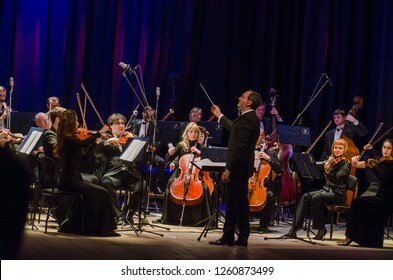 DNIPRO, UKRAINE - DECBER 17, 2018: FOUR SEASONS Chamber Orchestra - main conductor Dmitry Logvin perform at the State Drama Theatre. 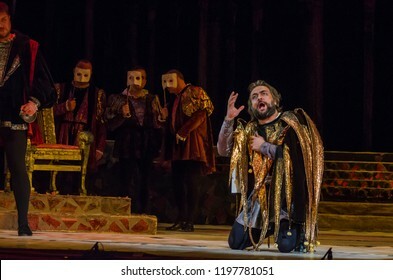 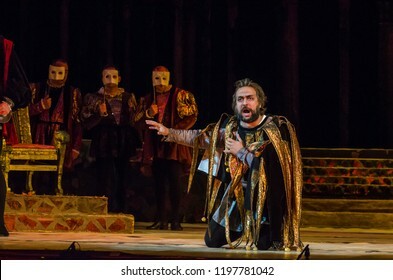 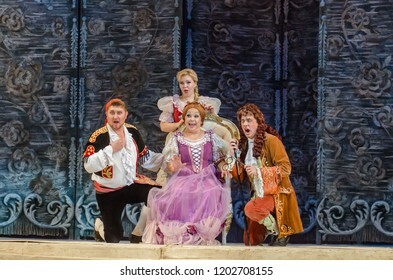 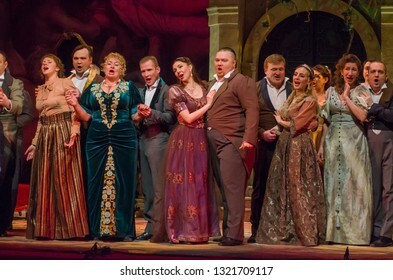 DNIPRO, UKRAINE - OCTOBER 7, 2018: Rigoletto opera performed by members of the Dnipro State Opera and Ballet Theatre. 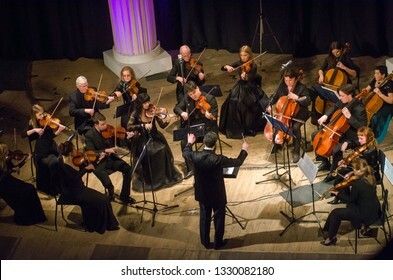 DNIPRO, UKRAINE - FEBRUARY 11, 2018: Symphony Orchestra Show performed by members of the Dnipro Opera and Ballet Theatre - conductor Yuri Porohovnik. 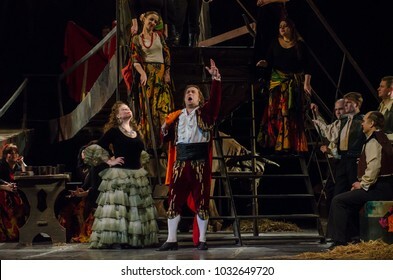 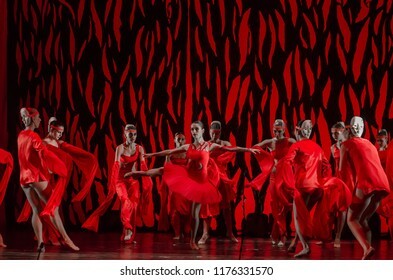 DNIPRO, UKRAINE - FEBRUARY 23, 2018: Classical opera Carmen performed by members of the Dnipro Opera and Ballet Theatre. 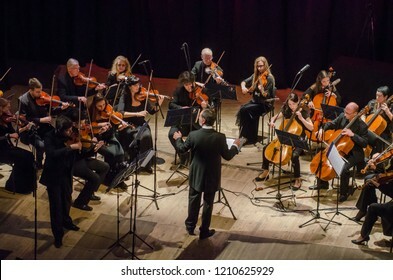 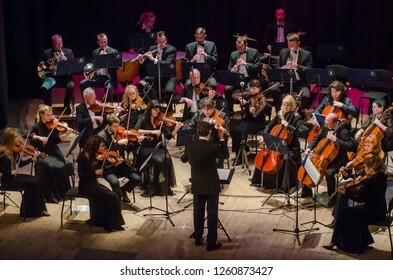 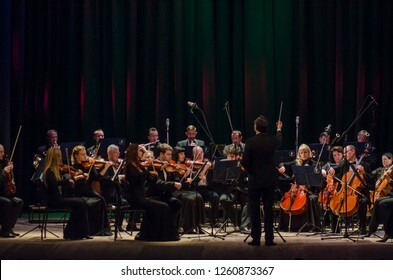 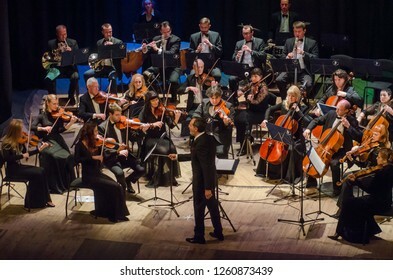 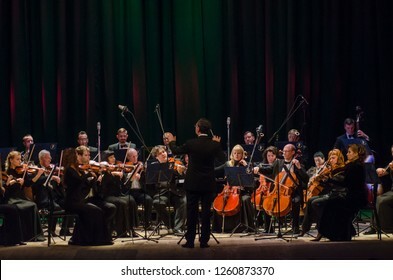 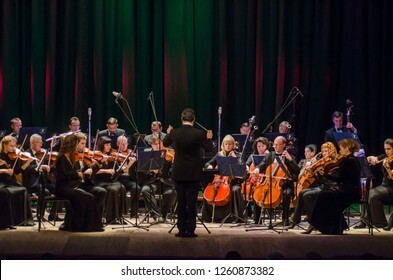 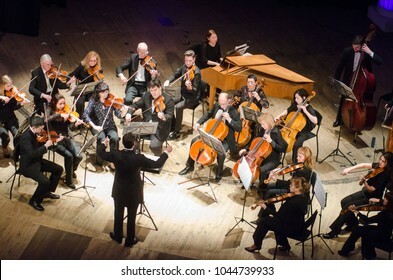 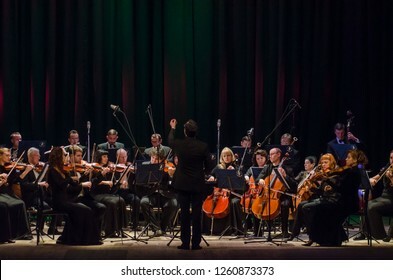 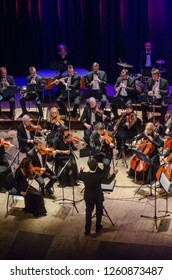 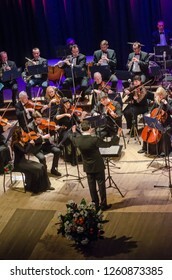 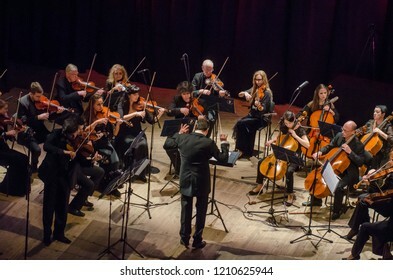 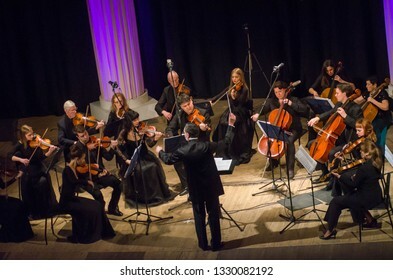 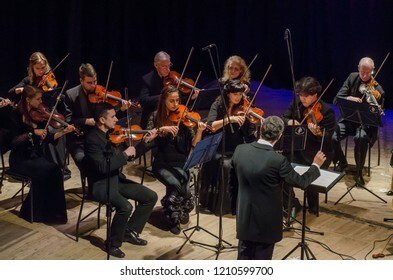 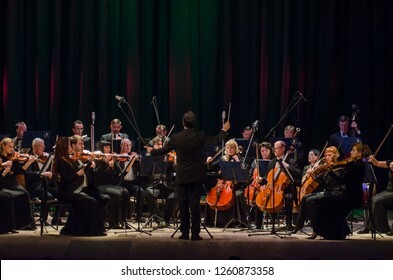 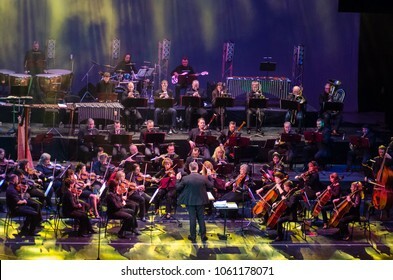 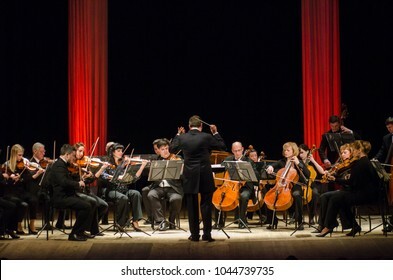 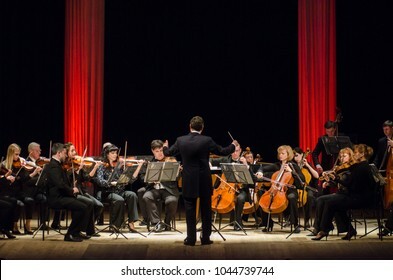 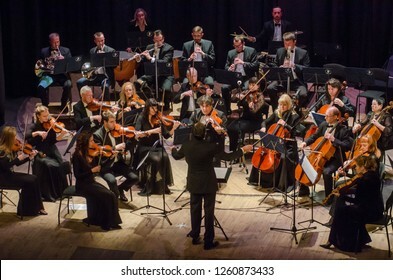 DNIPRO, UKRAINE – MARCH 4, 2019: FOUR SEASONS Chamber Orchestra - main conductor Dmitry Logvin perform at the State Drama Theatre. 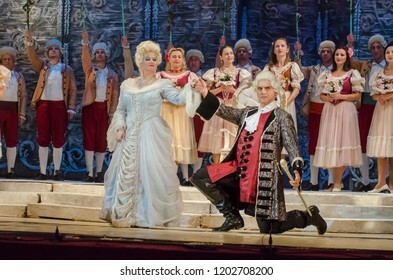 DNIPRO, UKRAINE - OCTOBER 12, 2018: The Marriage of Figaro opera performed by members of the Dnipro Opera and Ballet Theatre. 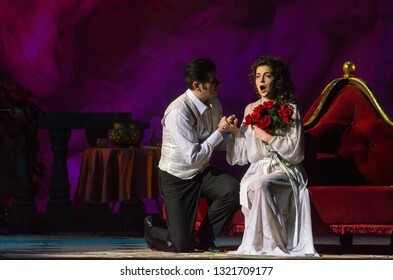 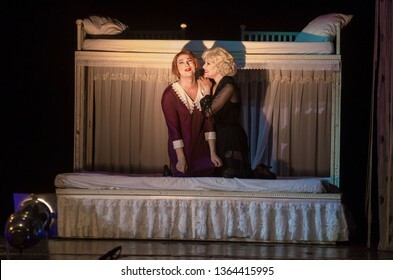 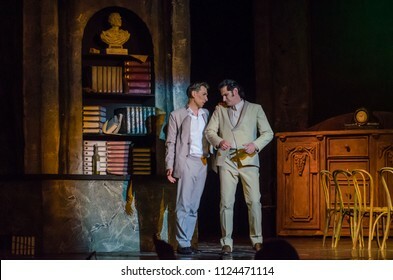 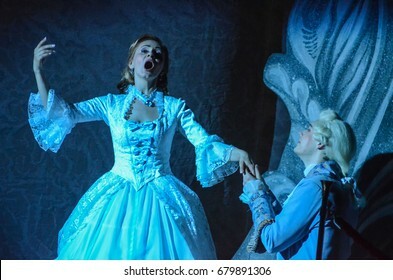 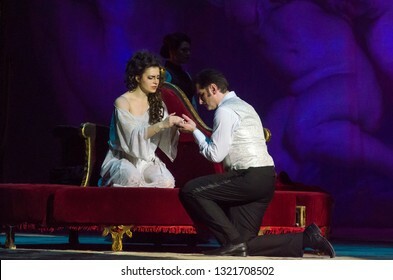 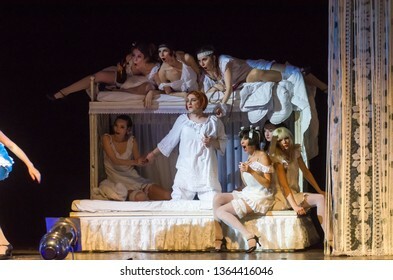 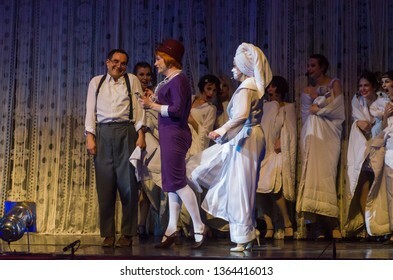 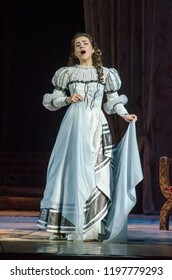 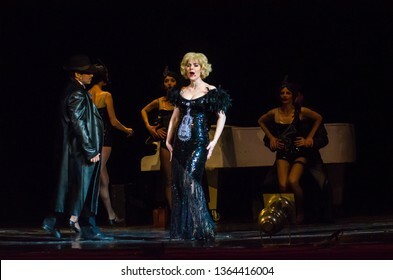 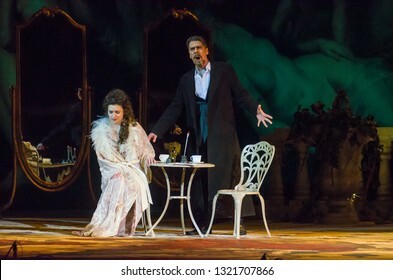 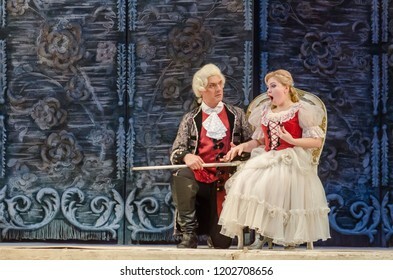 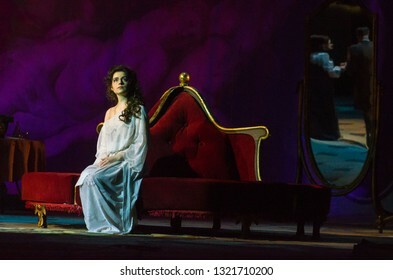 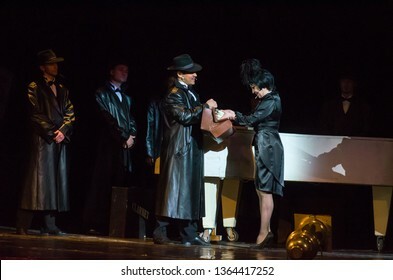 DNIPRO, UKRAINE – FEBRUARY 23, 2019: Classical Opera by Giuseppe Verdi Traviata performed by members of the Dnipro Opera and Ballet Theatre. 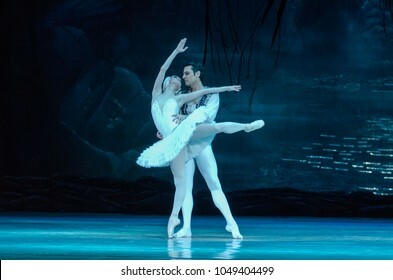 DNIPRO, UKRAINE - MARCH 17, 2018: SWAN LAKE ballet performed by members of the Dnipro State Opera and Ballet Theatre. 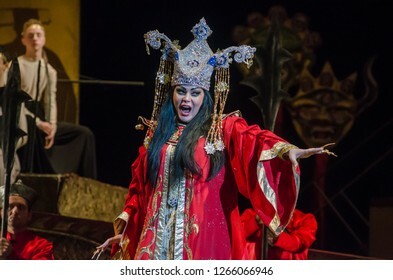 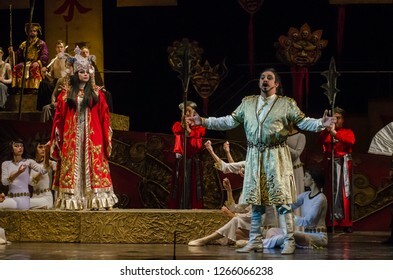 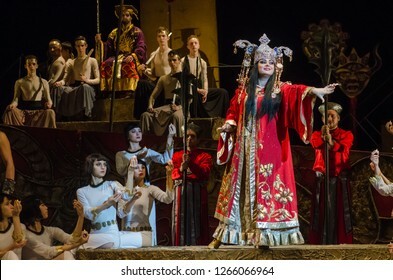 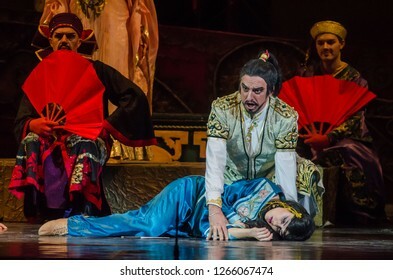 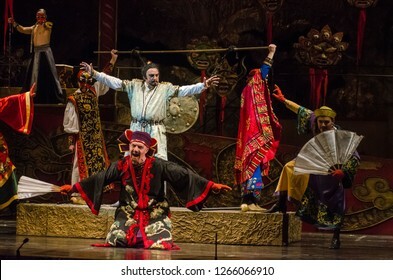 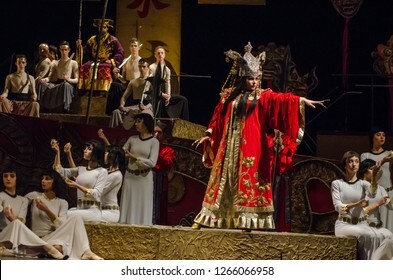 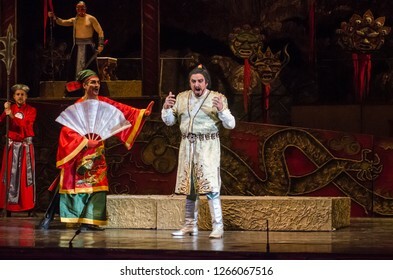 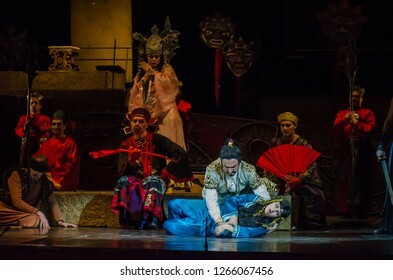 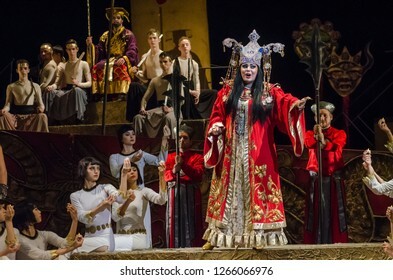 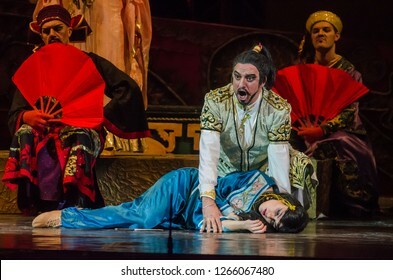 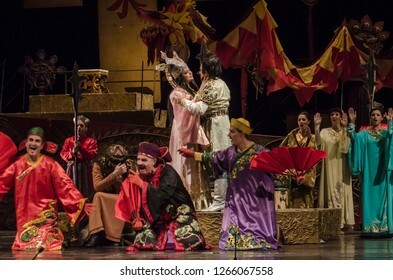 DNIPRO, UKRAINE – DECEMBER 22, 2018: Classical Opera by Giacomo Puccini Turandot performed by members of the Dnipro Opera and Ballet Theatre. 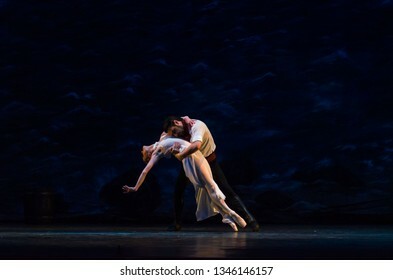 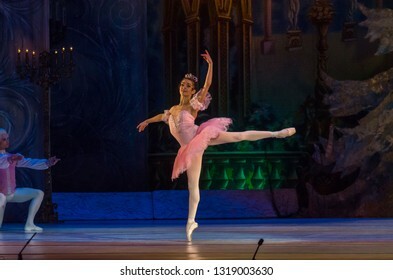 DNIPRO, UKRAINE – MARCH 17, 2019: Classical ballet Corsair by Adolphe Adam performed by members of the Dnipro Opera and Ballet Theatre. 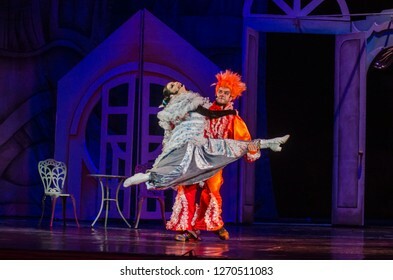 DNIPRO, UKRAINE - MAY 27, 2017: Classical opera The Barber of Seville performed by members of the Dnipro Opera and Ballet Theatre. 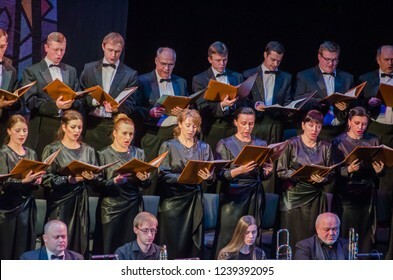 DNIPRO, UKRAINE - NOVEMBER 24, 2018: Requiem by Mozart performed by members of the Dnipro Opera and Ballet Theatre. 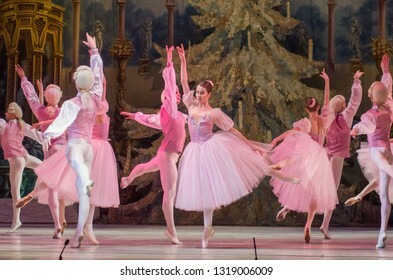 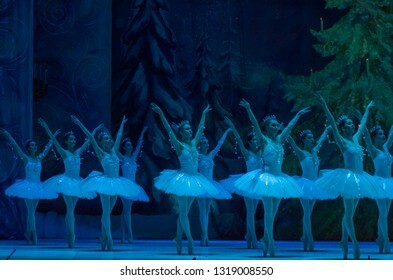 DNIPRO, UKRAINE - FEBRUARY 15, 2019: Nutcracker ballet performed by members of the Dnipro Opera and Ballet Theatre. 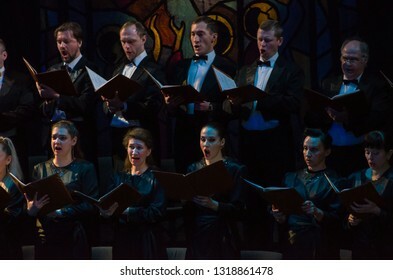 DNIPRO, UKRAINE - FEBRUARY 20, 2019: Requiem by Verdi performed by members of the Dnipro Opera and Ballet Theatre. 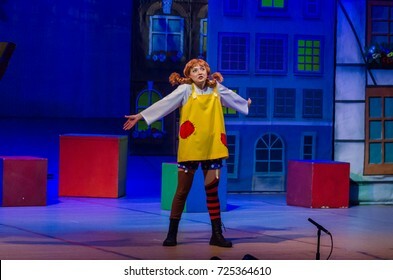 DNIPRO, UKRAINE - SEPTEMBER 30, 2017: Pippi Long Stocking performed by members of the Zaporizhzhya Academic Regional Ukrainian Music and Drama Theater named after Volodymyr Magar . 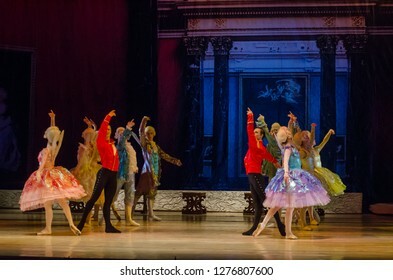 DNIPRO, UKRAINE - NOVEMBER 17, 2018: Children of the Night ballet performed by members of the National Ballet at the Dnipro State Opera and Ballet Theatre. 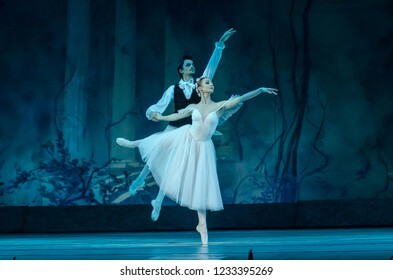 DNIPRO, UKRAINE - NOVEMBER 17, 2018: Classical ballet Sylphs to the music of Frederic Chopin performed by members of the Dnipro Opera and Ballet Theatre. 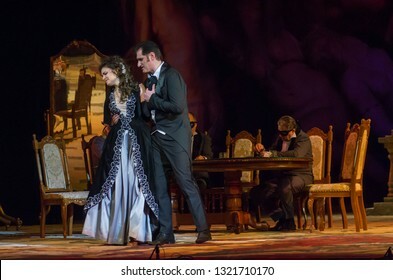 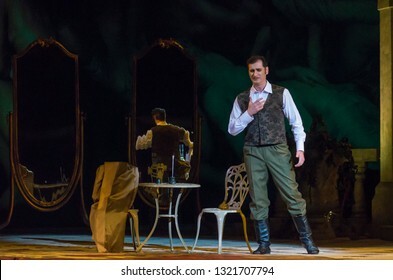 DNIPRO, UKRAINE - JUNE 30, 2018, 2018: Opera Onegin Life performed by members of the Dnipro Opera and Ballet Theatre. 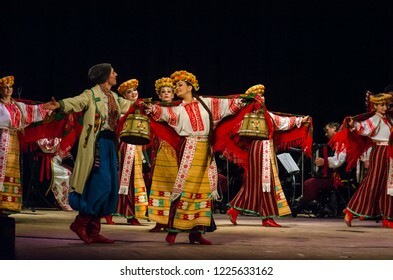 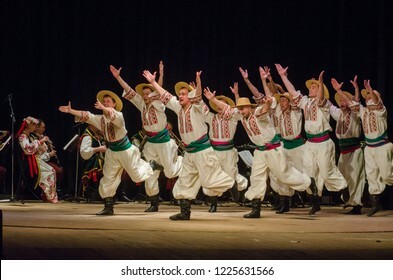 DNIPRO, UKRAINE - NOVEMBER 7, 2018: National traditions, customs and rites of the Ukrainian people performed by members of the Folklore Ensemble SLAVUTYCH at the State Drama Theatre. 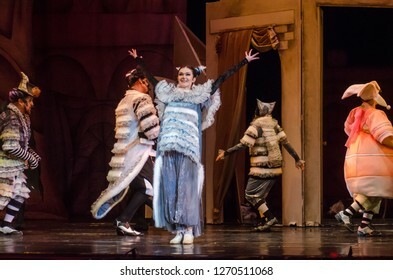 DNIPRO, UKRAINE - NOVEMBER 25, 2017: The Epic Drama The Hungry Blood performed by members of the Dnipro Youth Theatre VIRYMO!. 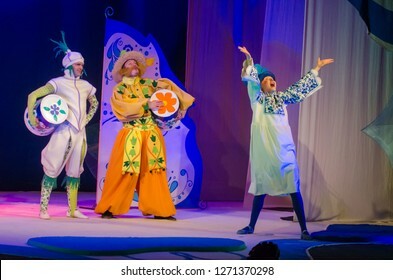 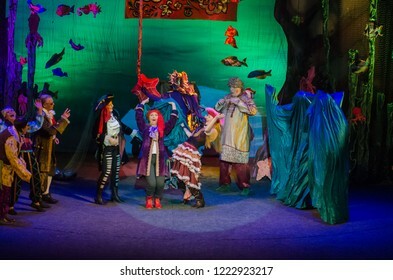 DNIPRO, UKRAINE - NOVEMBER 4, 2018: Miracle-Yudo in the underwater kingdom performed by members of the Dnipro State Drama and Comedy Theatre. 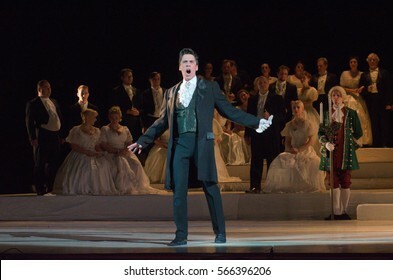 DNIPRO, UKRAINE - JANUARY 28, 2017: Eugene Onegin opera performed by members of the Dnipro Opera and Ballet Theatre. 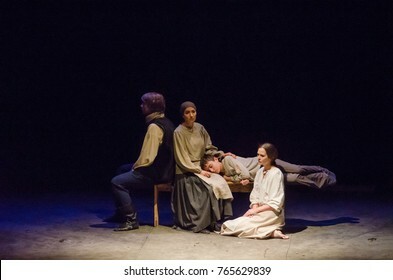 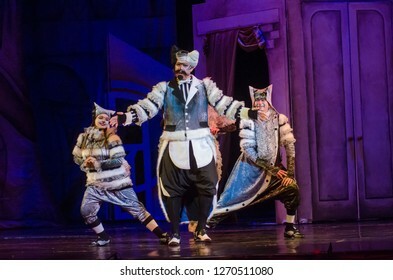 DNIPRO, UKRAINE – DECEMBER 26, 2018: Barvinok is our hero performed by members of the Dnipro State Drama and Comedy Theatre. 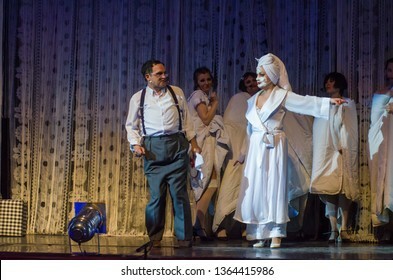 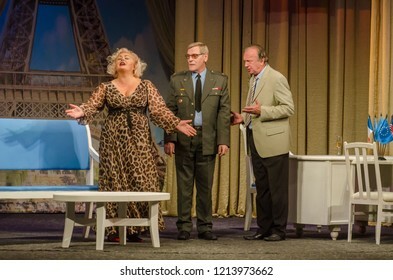 DNIPRO, UKRAINE - OCTOBER 26, 2018: Ce la vie performed by members of the Dnipro State Drama and Comedy Theatre. 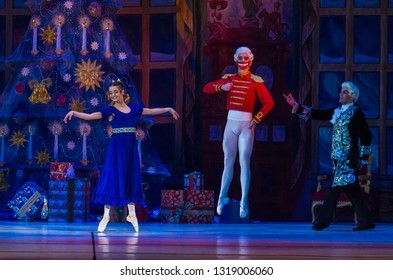 DNIPRO, UKRAINE - DECEMBER 29, 2018: Musical Kitsin House performed by members of the Dnipro Opera and Ballet Theatre. 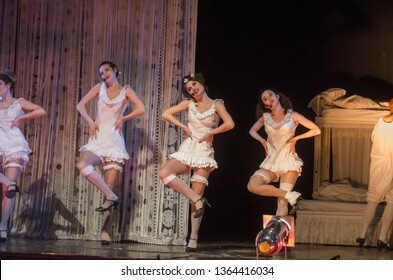 DNIPRO, UKRAINE - SEPTEMBER 7, 2018: Bolero ballet performed by members of the Dnipro State Opera and Ballet Theatre. 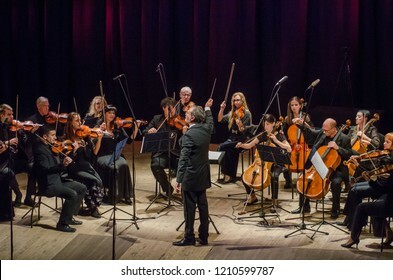 DNIPRO, UKRAINE - OCTOBER 22, 2018: Famous violinist Eugene Kostritsky and members of the FOUR SEASONS Chamber Orchestra - main conductor Dmitry Logvin perform at the State Drama Theatre. 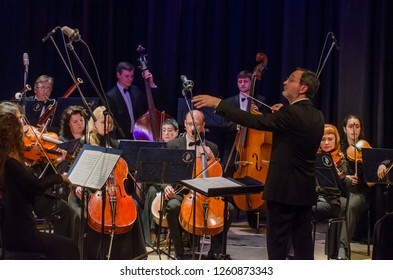 DNIPRO, UKRAINE - OCTOBER 22, 2018: FOUR SEASONS Chamber Orchestra - main conductor Dmitry Logvin perform at the State Drama Theatre. 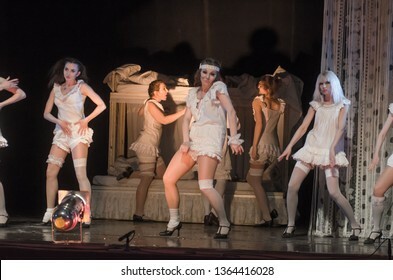 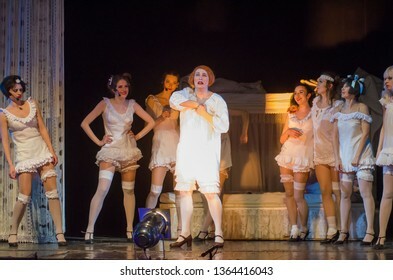 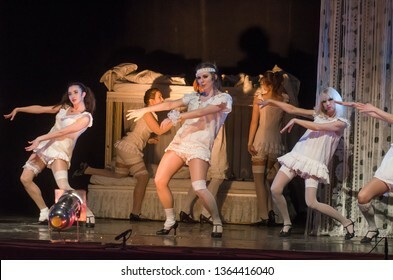 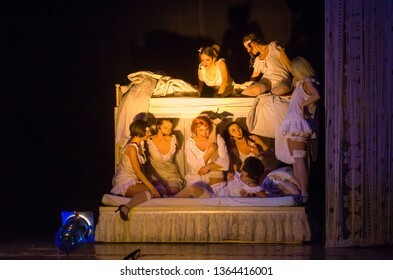 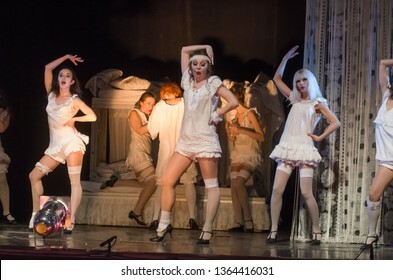 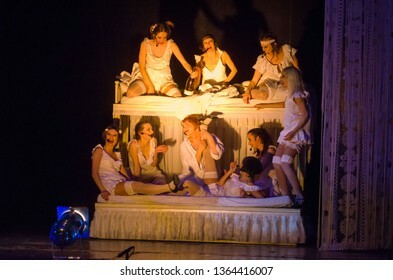 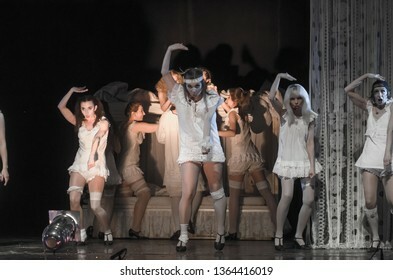 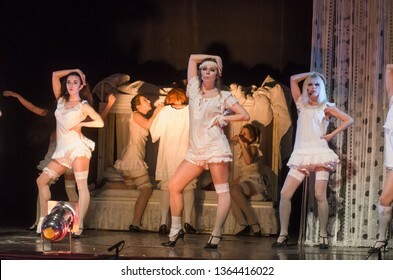 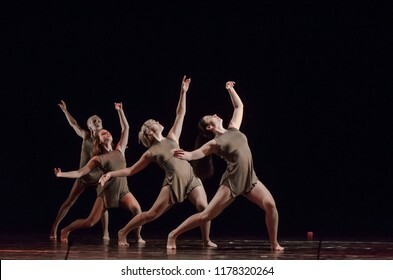 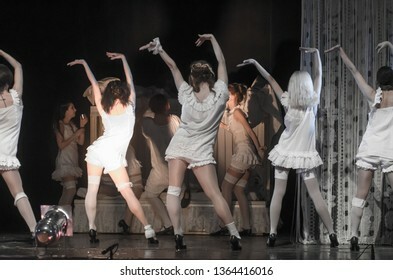 DNIPRO, UKRAINE – APRIL 8, 2019: The musical In the jazz only girls performed by members of the Odessa Academic musical comedy theater behalf of Michael Wodyanoy.